A visual online web form builder and secure web form hosting solution. Most medical and health-based organizations require HIPAA-compliant forms to keep track of and transfer sensitive patient information. LuxSci's SecureForm Form Builder is a developmental tool that helps you organize, manage, and store all those forms in one place. The SecureForm FormBuilder provides easy Web form creation and secure hosting that's completely HIPAA- (Health Insurance Portability and Accountability) compliant. You can ensure the protection of your data during transmission because our hosted forms use encrypted text are accessible over TLS. FormBuilder also allows you to include custom CSS and Java Script to adjust the complexity of your security levels as needed. Our form building and hosting services are ideal for contact, customer request, survey, and legal forms. 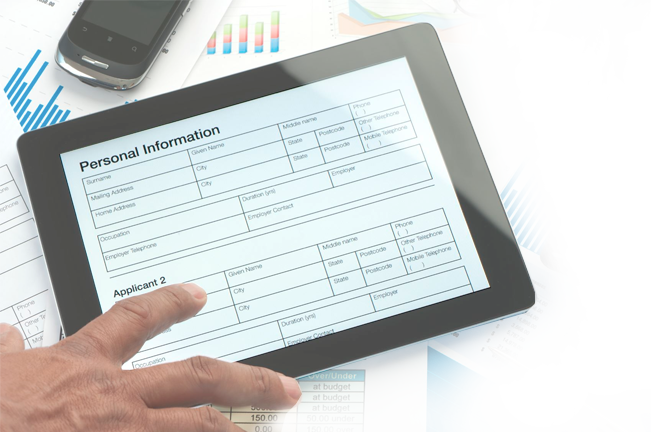 Our forms are also responsive to mobile devices and designed to seamlessly collect digital signatures. You can start from scratch or with one of our templates as a guiding tool to create your form(s). All of our forms are also Wordpress-friendly and easy to update. Use LuxSci's SecureForm FormBuilder as a simple way to organize and automate your business. SecureForm FormBuilder provides the online security necessary for a safe and efficient practice. Yes. FormBuilder is a WYSIWYG (what you see is what you get) editor with a tool bar that makes it simple for anyone to create basic or stunning Web forms. FormBuilder also includes templates you can use to get you going. Is the form hosted securely? Yes. FormBuilder hosted forms are accessible over TLS, only. Can I embed my form in my existing website? Yes. You can embed your FormBuilder form in any existing website using an iframe. Can I upload/include images in my forms? What are some of the things that I can't do with FormBuilder? Have multi-page forms that save the data of all pages and submit it as a single unit at the end, or that allow you to save and resume your work. Is SecureForm hosting redundant and scalable? Yes. Amazon AWS Cloud hosts FormBuilder forms. They can scale to vast numbers of concurrent viewers and are safe from underlying server issues affecting uptime or performance. Can I transfer my existing forms to FormBuilder for hosting? How does FormBuilder work with SecureForm? FormBuilder is built into SecureForm, so the forms you design in FormBuilder are automatically configured to send data to SecureForm. You do not have to do anything in FormBuilder itself to connect it properly to SecureForm. Is it possible to have FormBuilder forms send data to a system other than SecureForm? Form Builder includes a tool where you can insert and customize one or more Ink Signature boxes in your forms. SecureForm FormBuilder supports optional save and resume for long forms. The form saved form data is encrypted and temporarily stored in your database. Save and Resume requires that users enter a password that will be used to access the saved form data (no "account" is created ... this password is used for authentication and encryption). The user is given a link that can be used, together with the password, to resume working on the form where they left off. You can configured how long these saved form links are valid and how strong the user passwords must be. Non-HIPAA accounts (e.g. low security accounts) can also choose to forgo the need for a password. Form builder allows you to add "File Upload" input fields to your form so that end users can submit files as well as other information. You can upload images for display in your web site form. These will also be securely hosted with your form. Paste in an Existing Form? If you have an existing form, you can copy and paste it into the Form Builder. The existing styles and look will be preserved as best as possible (all styles become inline styles on the elements). Set a maximum length on the number of characters entered. SecureForm FormBuilder submits your forms* using AJAX. If the form submission fails due to lack of connectivity (e.g. the user or offline or the server is down/inaccessible), then the end user is notified with a little pop-up and can re-try the submission. The filled-in form is not lost. * Does not apply to forms with file upload fields, as file upload is not currently supported over AJAX. Capture the visitor's latitude, longitude, and physical address. (Require the visitor's approval and that the visitor is using supporting hardware and browser software). Requires that your external CSS file be hosted on a secure web site. Form Success and Failure Pages? The Form builder also allows you to design the "Success" and "Failure" wen pages presented to the user when your form is submitted. Each of these can also be enabled with a responsive mobile version if you desire it. Responsive Mobile version of your form? You can optionally also create a separate version of your form for viewers with narrow devices (e.g. mobile devices or narrow width browsers). You can specify at what browser width (the default is 600px) your page changes between mobile and full versions. Your form URL stays the same, but you have two different forms which are automatically presented based on your viewers browser width. Brand the Address of your Hosted Forms? With LuxSci Private Labeling and your own Secure Site Certificate with LuxSci, you can use your own domain name for the address at which your SecureForm Builder forms are located. E.g. instead of "https://secureform.luxsci.com/...." you could use "https://forms.yourdomain.com/..."
Your Form Builder forms hosted in a HIPAA-Compliant LuxSci account can also be HIPAA-compliant. You merely mush ensure that you do not include any ePHI in the form itself. The form can collect ePHI, but it should not present ePHI to anyone viewing the form. 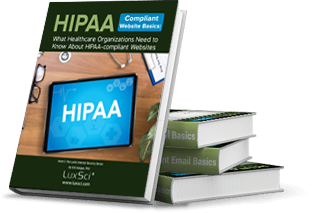 LuxSci has a HIPAA Business Associate Agreement with Amazon for this purpose. Fast, High Redundancy, High Reliability? Your form is hosted on Amazon S3, which has a 99.999999999% SLA on the integrity of your form data. The form is also backed up by LuxSci in daily snapshots ... "just in case". The form is then delivered to your end users through the Amazon CloudFront Content Delivery Network to maximize the speed of delivery. Though use of these services, your forms have maximum download speed, excellent reliability, and the capacity to handle extremely large numbers of concurrent form users. Thank you for your willingness to accommodate my client's specific needs. I appreciate the considerable effort you put into adding a feature to SecureForm that supports PDFs created with Adobe Acrobat Professional. I think it's a valuable enhancement to an already great service, and I genuinely appreciate your hard work. Thanks again to the LuxSci team for being so responsive!"